Our partner @peerglobe have just launched their new corporate website which is less cluttered and far cleaner than before. We are envious and would like to re-skin the rmd Studio website too! What is Anahita Platform and Framework? You might have heard rumours around the web about this project, but the cat is out of the bag and the project is real. For the past 18 months rmd Studio (Rastin Mehr – Lead Web Application Architect) and Peerglobe technology (Ash Sanieyan – Lead Web Application Architect) have been working round the clock in collaboration with Johan Janssens and Mathias Verraes, as Nooku MVC Framework consultants from Joomlatools, to develop the ideal Open Source Social Web platform. Is this yet another facebook cloner? Not really! In fact unlike many microwave-quick-oatmeal social networking builder options available out there, our focus has been to develop a generic, modular and flexible platform for developing Social Web * (as ANYTHING) and that will include not only Social Networking websites, but also Social Intranets, eLearning, Community Markets, Services and electronic goods Support & Distribution websites, or any unheard of social web business and work flow models that we could ever come up with in the future. As you can see Social Networking as we know it today, is only one of the many possibilities. We also think that for a project to success it does not matter that how great it is at a certain point of time, but how well it is able to evolve and change over time. A design that adapts itself to different life case scenarios and market trend changes will have a much higher chance of survival and success. That means staying modular, generic, and not trying to be everything to everybody! Continue reading What is Anahita Platform and Framework? Posted on April 5, 2009 March 21, 2016 4 Comments on What is Anahita Platform and Framework? What is the status of RubberDoc project? The number of downloads for RubberDoc Joomla! extension has been overwhelming. Since the release date we’ve actually had more than 14,000 downloads and not to mention a large number of support requests. 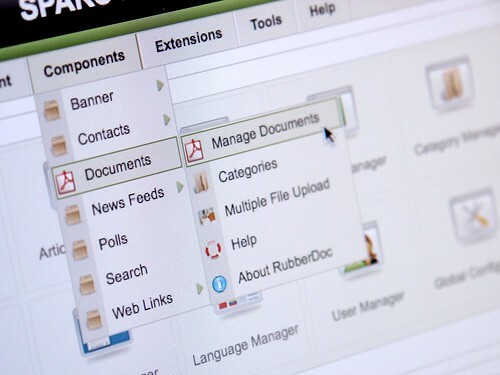 And none of the people who were sending support questions for the free and open source RubberDoc did not want to pay for the service, which means we could only respond to those questions on our free time which we have very little of! Continue reading What is the status of RubberDoc project? Posted on April 4, 2009 April 4, 2009 11 Comments on What is the status of RubberDoc project?